I love to drive. A lot. It all started with a 1965 Mustang that I bought in Kansas years ago. 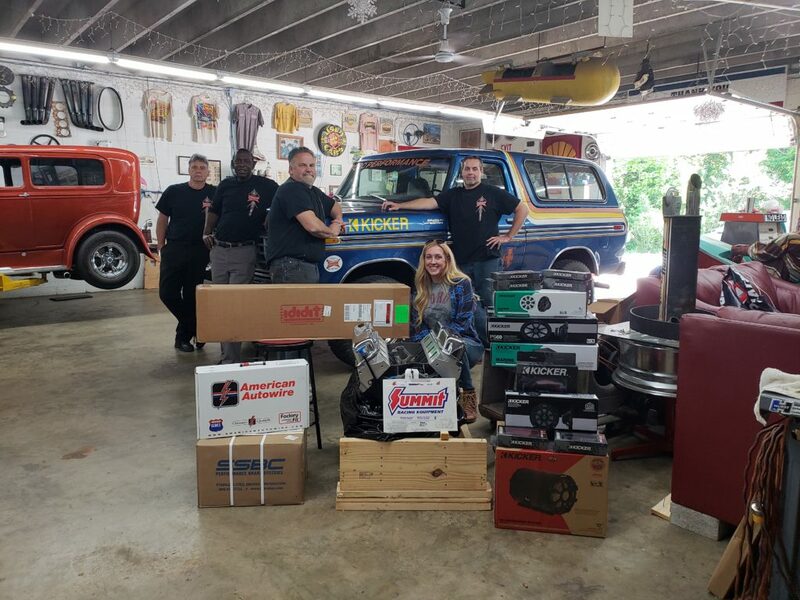 Having never driven a classic car, I was unaware of the ‘excitement’ of drum brakes and passed the first stop sign I came to by at least five feet. 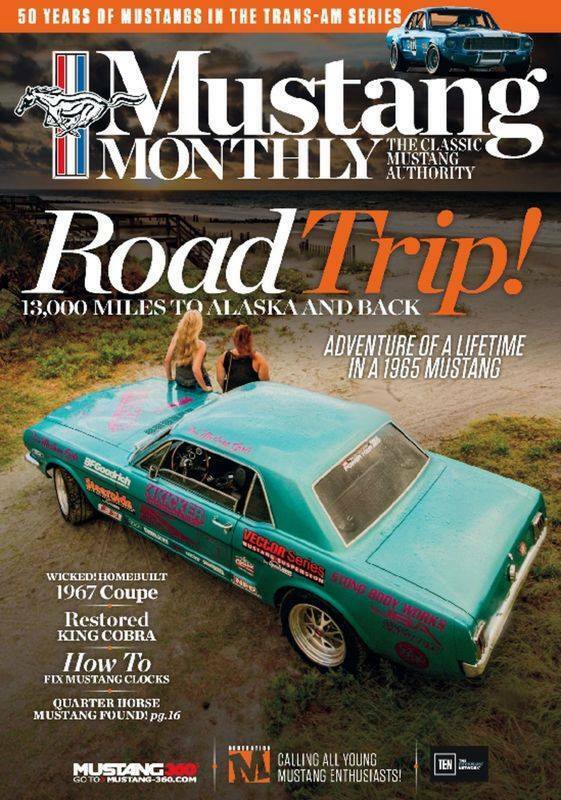 That Mustang became my daily driver, and in 2015, I restored it with Mustang Monthly magazine as Project Road Warrior. In nine years, I have racked up over 500,000 miles on the car, driving it through every state but Hawaii on rallies and events all over the United States. That includes a trip to Alaska and back in which I drove 13,337 miles in 30 days! But last year I was ready for another challenge. After taking a beating on the Alaskan Denali Highway in the Mustang, I knew I wanted something tougher to take on the “roads less traveled,” which often offer the best adventures. I also wanted the option to camp in the vehicle if the opportunity arose. 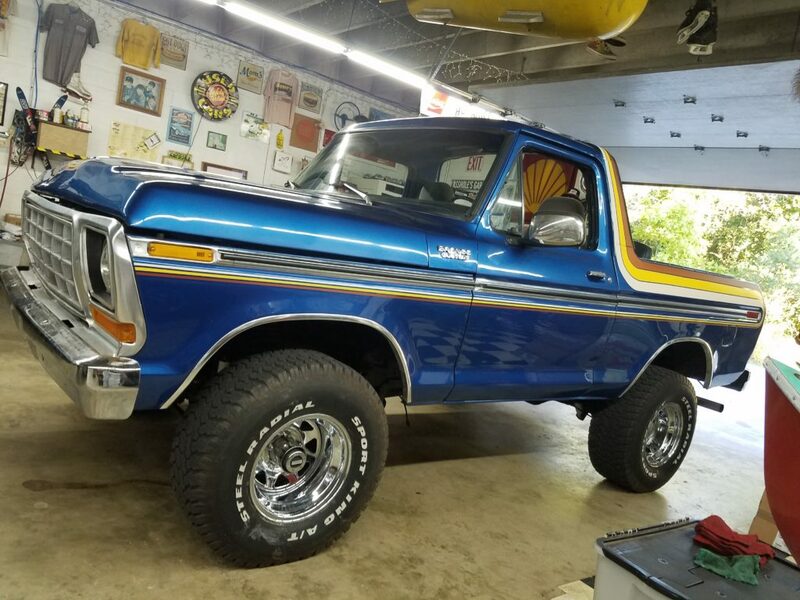 A 1978 Bronco seemed like the perfect fit. 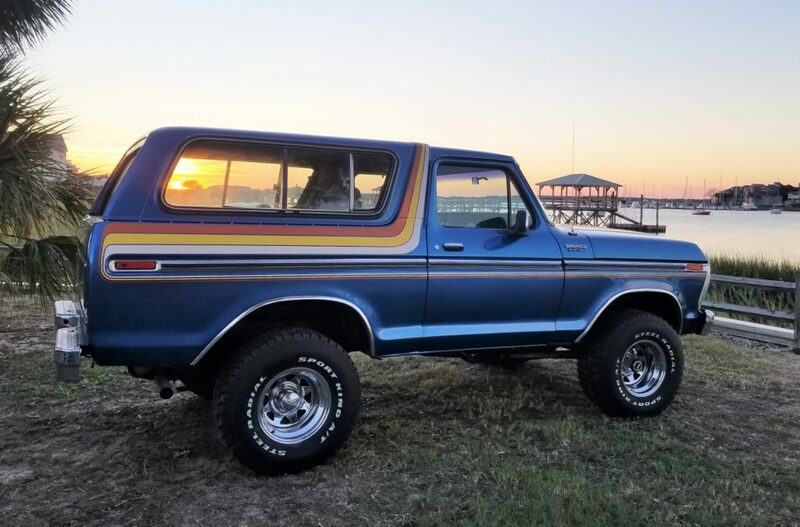 That was the first year that Ford offered the larger body style in the Bronco and in 1979, the Freewheelin’ package with the groovy paint job. I may not have been born in the 70’s but I should’ve been—I am a bellbottom-wearing hippie at heart! 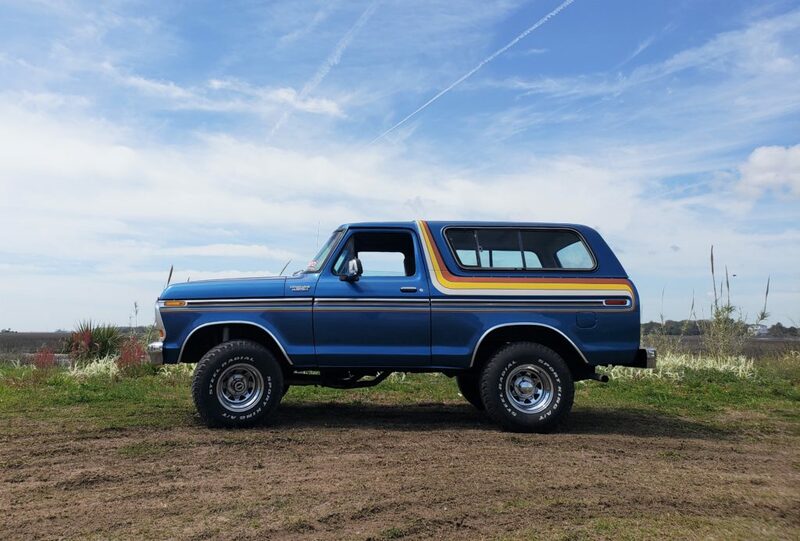 After months of searching, I found the Bronco I wanted to buy and bought a one-way ticket to El Paso, IL to acquire it. It was advertised as a running and driving vehicle and looked great in all the pictures, but when I got there I quickly learned that definition can be interpreted in several different ways. 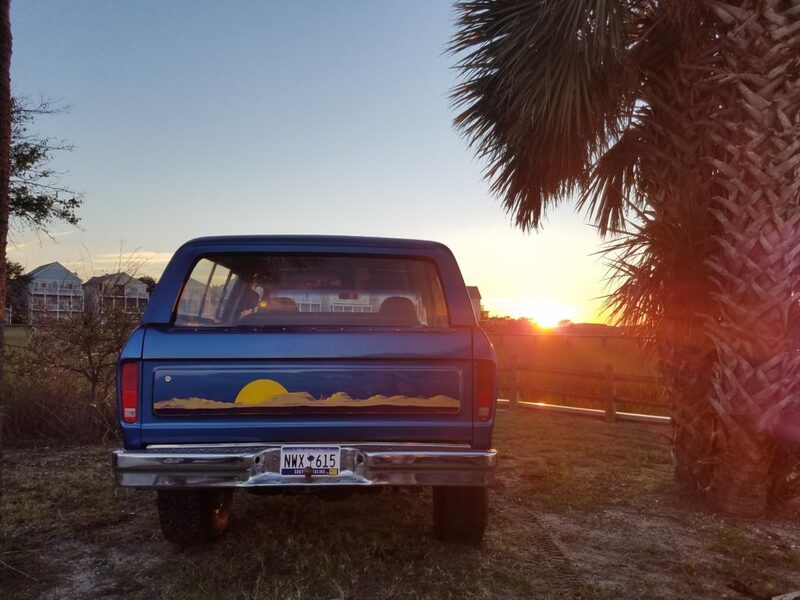 It had a bad transmission leak, extremely loose steering, and a six-inch body lift kit that put me level with big-rig truckers. But I was already in love, and the thought of getting on a plane (as someone who will do anything to avoid flying) was enough to make me look past all the problems and begin my 1,200 mile trip back to South Carolina. I’ll never know—just call me crazy. The heart wants what it wants and that kind of first-sight love makes you overlook potential red flags. The trip home was an adventure. It reminded me of my journey home from Kansas with my Mustang years earlier. Absolutely terrifying is probably the best way to describe both trips. I thought I was prepared after all the years with my classic, but the death wobble that is part of the 4×4 experience was a new one for me and something I don’t want to experience again. The uncontrollable shaking comes out of nowhere and wouldn’t stop until I got below 30 mph. Along with the surprising shakes, I also ran into alternator issues and the trip I had planned to do in two days ended up taking four (and probably several years off my life). I got to work right away. I know it may sound silly to most, but I ignored all the big issues and went right for the paint. 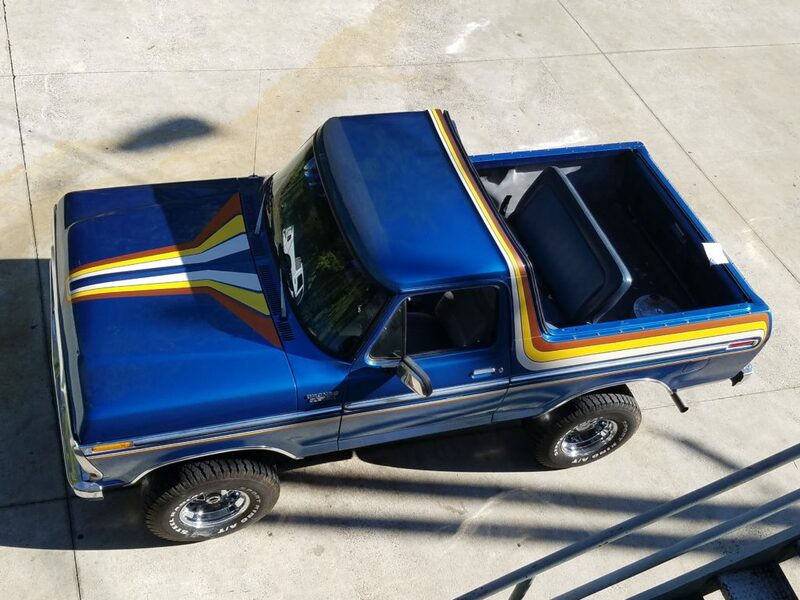 I had a vision for what I wanted, and with the help of Russ Petty and Manny the Paint Guy, my truck was transformed back into the ‘70s and reminded me of the Hot Wheels trucks you played with as a kid. 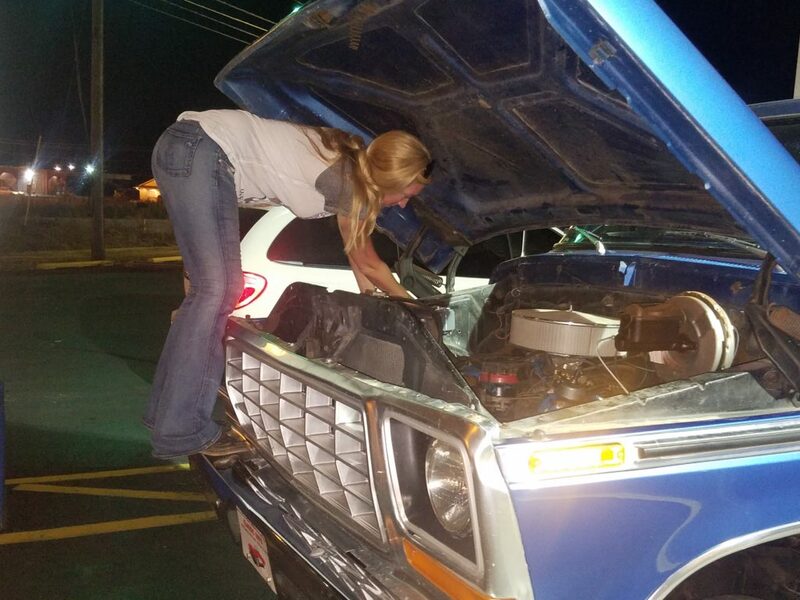 After that, I had to face the unfortunate reality that the truck needed a lot more than just making it pretty. The previous owner had done some suspect engineering with a lift kit and had welded some leaf springs from God knows what to the frame rails. And it turned out that the “newly rebuilt” motor and transmission were not rebuilt at all—and probably hadn’t had a tune up in the past decade! Also, I had managed to get one of the rare all-time four-wheel-drive Broncos. I didn’t even know that was an option. In fact most Bronco people don’t know about it. And being someone that does a lot of long-distance driving, I felt like a moron. Even after replacing every bushing known to man and bringing it back to stock height, it was still scary to drive. I took it to multiple 4×4 shops, and while every one of them agreed that something didn’t feel right, no one could identify the problem. 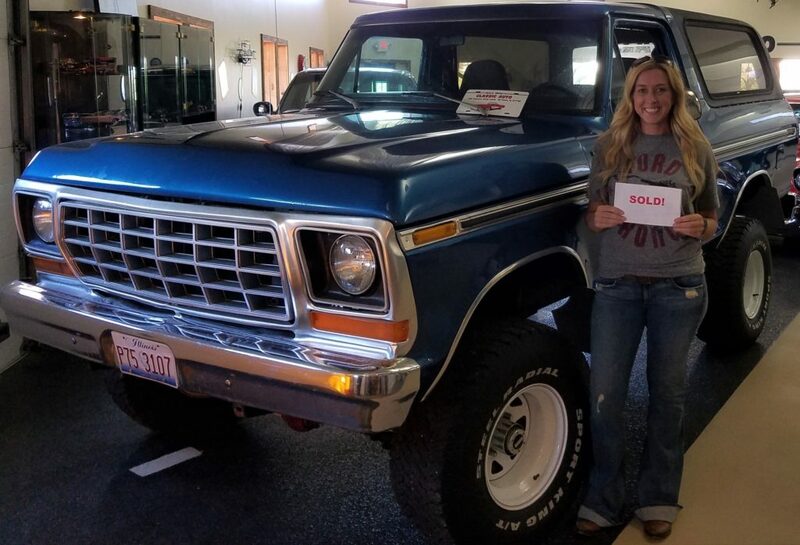 After all the ups and downs, I finally gave in and let the fear win and began ignoring the Bronco. Every morning it got easier to just hop into the Mustang and ignore the big blue beast staring at me from the driveway. Then, one day in March, I decided it was time. It was time to tame the beast. I wasn’t going to let fear win. 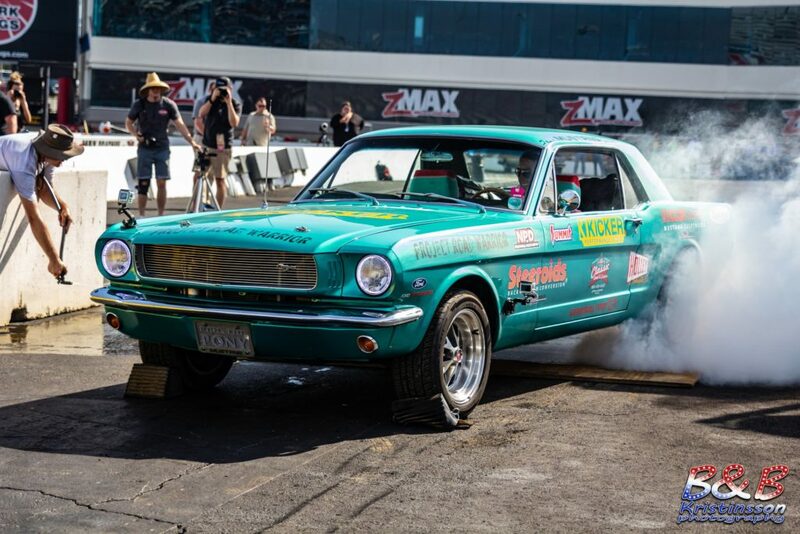 I remembered how far my Mustang had come from a six-cylinder car with four-wheel drum brakes, no power steering, and enough rust to scare most right to the junkyard, and into the amazing road warrior she is today. 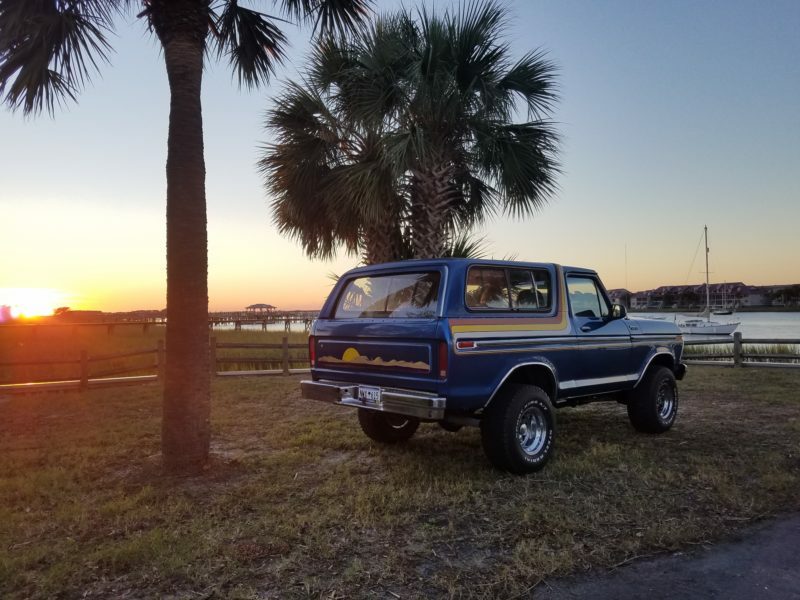 I knew it wouldn’t be easy, but I would get my Bronco there too. And so began Project Road Warrior 2.0! 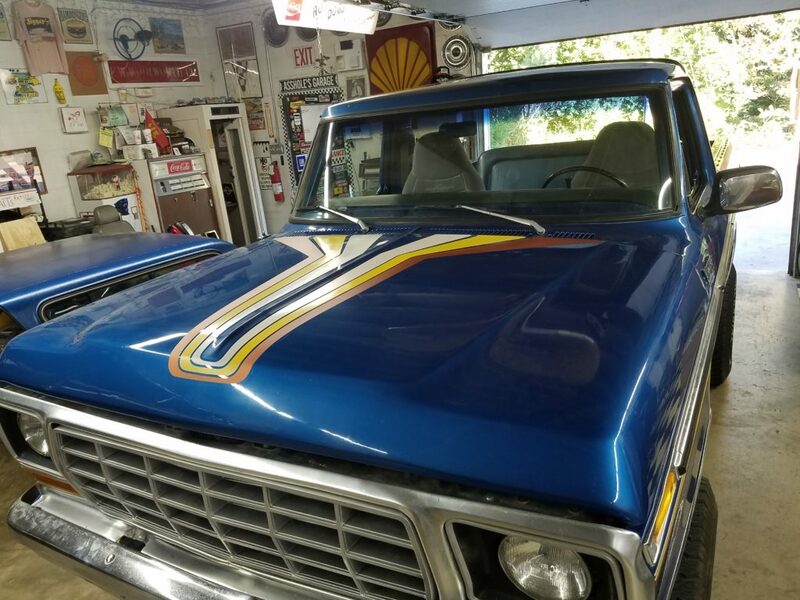 For now, here are some pics of my original Project Road Warrior Mustang, along with some of the lastest photos of the Bronco. Love it. I have one myself. I had to buy one after taking my daughter to the monster truck show. Did you do anything to the Brakes? Like you, the guy I bought mine from put a huge lift and huge tires, but did nothing to make it stop. She look good, thank you. I upgraded the back to disc using SSBC’s kit available on Summit, https://www.summitracing.com/parts/SSB-A118. Fit great without any problems. I also added T-Bird Calipers to the front to add more stopping power. 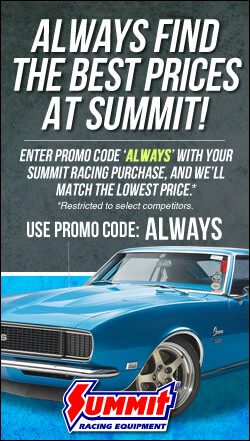 I couldn’t find any upgrades and then read about the T-Bird Caliper swap on the forums. James Duff offers a kit, otherwise brake lines seem to be hard to find. I will let you know how it feels when she rolls again! Its called ‘death wobble’ and usually combination of loose steering linkage, out of round/ballance tires and a ‘trac bar that is loose on either or both ends. Ive worked on these things since day one and have 3 Im parting out as I type. 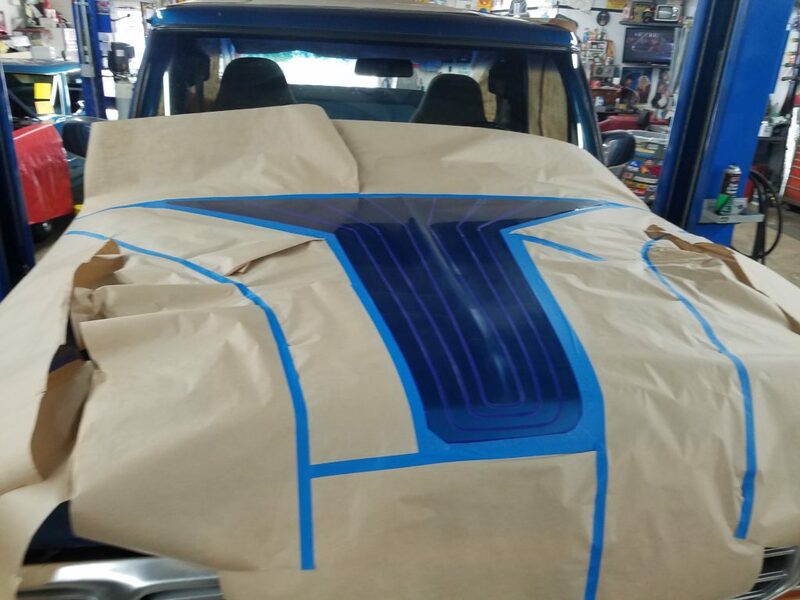 Depends on what you have spent so far as to what you should do next but in teh future…PAINT IS THE LAST THING A VEHICLE GETS AFTER TEH 12,000 TEST RUN. Spend wisly , drive safly and take those wheel chocks from in front of your moose tang and chuck em. But paint is fun and a lot easier to tackle. I had to start somewhere and the death wobble just wasn’t the winner!